Whether you’re in the market to buy or sell, you want exceptional service personalized just for you and your goals. 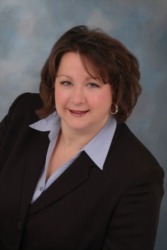 Angie Simpkins has been pleasing her clients for more than 5 years. She understands the local real estate market, listens to her clients’ needs and provides excellent, professional service to all, regardless of price range. For all your real estate needs, talk to Angie at 812-459-3480 or email @ AngieSimpkins@FCTE.com.